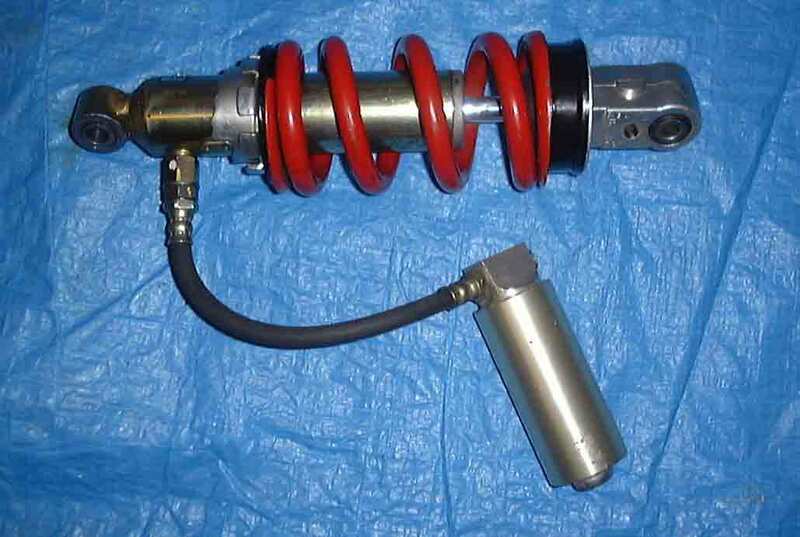 If you are going to convert a CBR900 (Fireblade) rear shock either let your local dealer remove and replace the spring or make a jig similar to the one I made. I started my jig with 10mm studding and the compressed spring tension exerted very nearly snapped the studding. The Mk2 version now has 12mm studding and even that groaned a bit. 1off 50mm x 50mm box section approx 300mm long. 2off lengths of 12mm studding approx 300mm long. 1off 12mm nut/bolt to retain the shock eye in the jig. My jig consists of a piece of 50mm x 50mm square 'box section' or RHS as it should be known. Make 2 right angled 'claws' to fit in the spring (mine are approx 13mm x 8mm), file a radius in each to fit the spring so as to ensure it doesn't slip off when under compression. 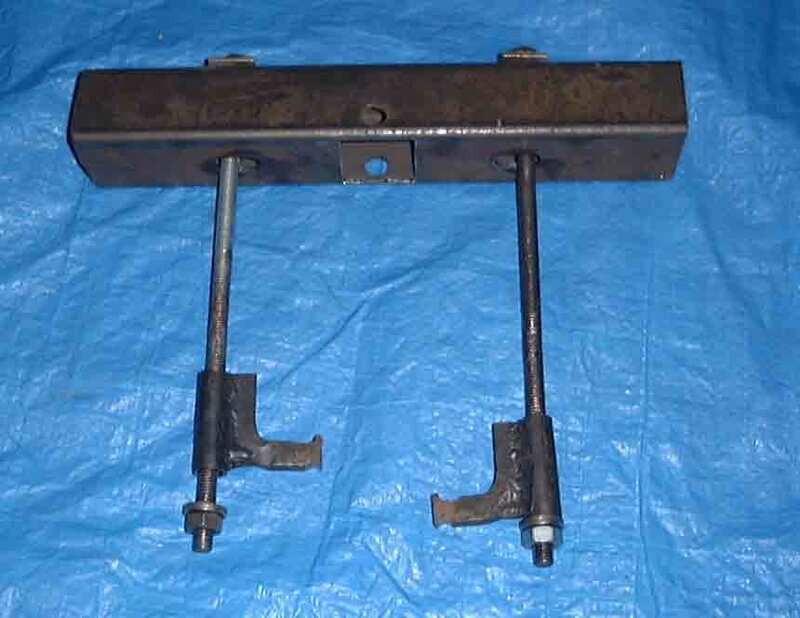 Weld these to 2 separate bits of tube with a hole of 13mm diameter. Cut out a rectangular hole to allow the shock eye to fit inside the box section. I used a milling machine (nice and easy) but you could drill 4 x 8mm holes in the corners of the rectangle to be removed and then 'chain drill' a series of smaller holes and chisel out and then file out to finish. Drill a hole in the box section to suit the shock upper mounting hole - 13mm (1/2in) diameter. Drill 2 more holes of 13mm to suit the 12mm studding (I just marked out roughly where the studding would go by rough assembling the claws in the studding with the shock in the jig - well it's not rocket science is it). 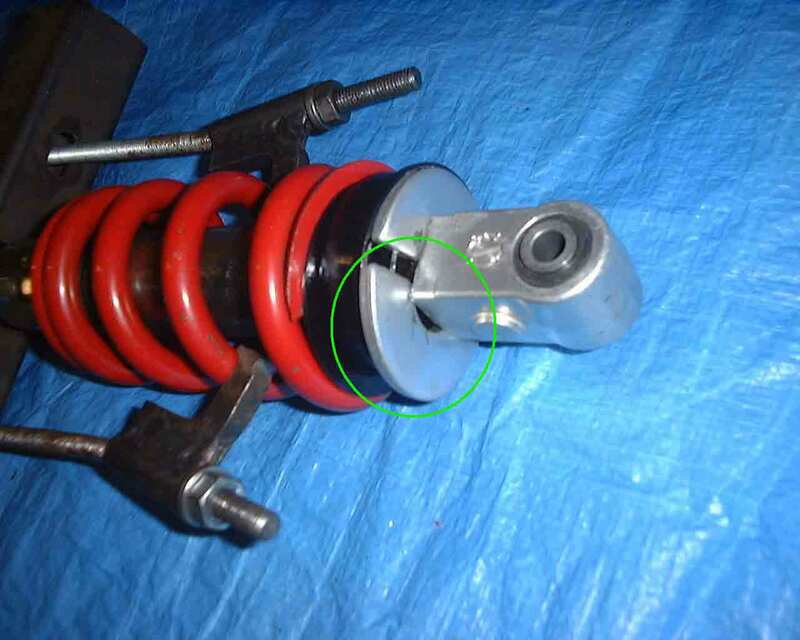 First, remove the Bros spring by assembling the shock in the jig and slowly (1 turn at a time on each nut) screw in the claws to compress the spring until you can remove the retaining clip from the Bros shock. Slowly undo the claw nuts and remove the spring and both upper and lower spring retaining spacers, you'll need these for the conversion. Next it's the turn of the 'blade shock so repeat the process as above but this time the spring is retained by 2 plate collets. 2 additional bits are required. 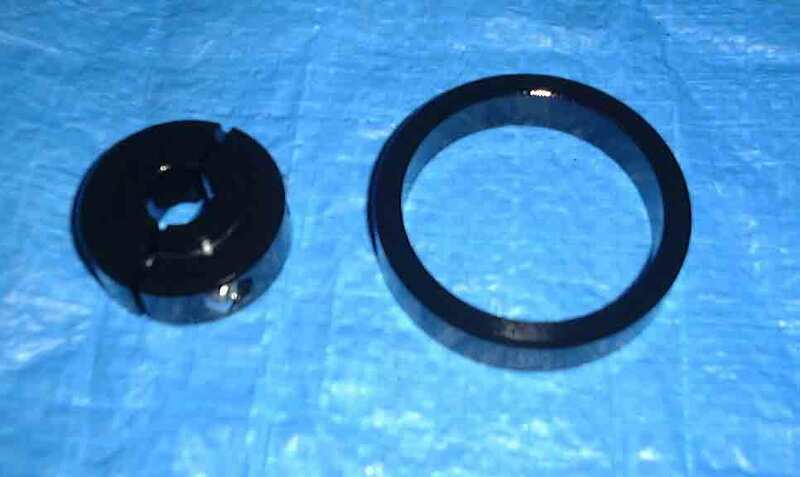 A bump stop extender and a spring spacer. I made my parts according to the recommendations on the HawkGT website under the FAQ. When you have all the parts required the pre-assembled items should look like this. 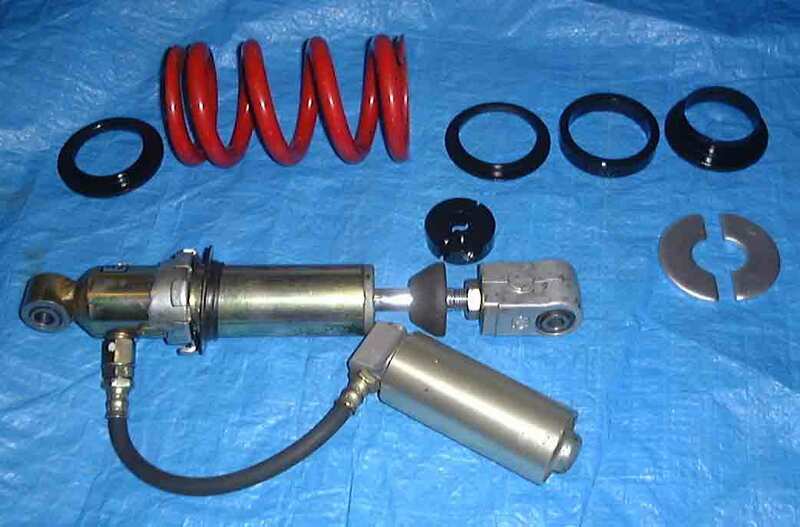 Finally, assemble all the bits onto the shock and it's ready for fitting onto your bike.